Buy and Download > Description This brand new beauty from Korg combines state of the art Analog Physical Modelling synth sounds with a very vintage Korg appearance. Yes this sounds as good as it looks! 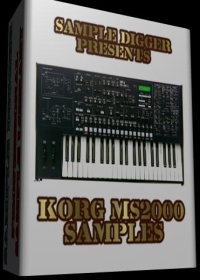 Remember Korg's MS-series the MS-10 MS-20 and MS-50? 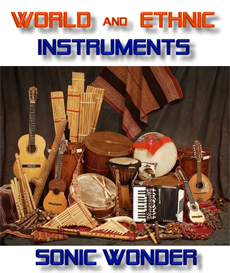 That's right the MS or MonoSynth series are some of Korg's most sought after analog synths. They were some of the only compact Patchable monosynths of their time and had a great Korg sound too. While the MS2000 is somewhat "hard-wired" it offers just as much and more flexibility while maintaining a straight forward and hands-on approach towards old-fashioned editing via dedicated knobs buttons and flashy lights. In place of actual patch cables and input jacks the MS2000 features a cool "Virtual Patch" mode in which signal can be routed to various sections of the synth ie: LFO Filter or Keyboard Velocity using the LCD display and paging through various screens. The MS2000 actually comes up against the similar Roland JP-8000 and Novation SuperNova & Nova synths. Despite its amazing look the MS2000 has some surprising limitations. 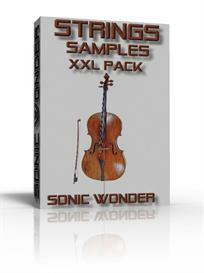 It has only 4-voice polyphony so you won't be creating very lush or complex pads and sounds with it. In spite of this its sound is clean crisp and very flexible. 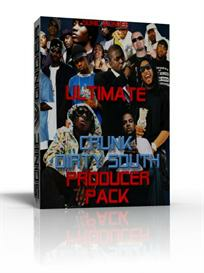 It can easily conjure up beefy basslines sub-basses wonderful sweeping leads pads and hits. Classic features include a 6 pattern arpeggiator a very flexible LFO with sample and hold and even vintage wood side-panels and printed block diagrams and programming data on the face. Programming seems just about as classic as its look. The two oscillators offer up to eight waveforms plus noise. A great self-oscillating filter section provides 12dB high and band pass filtering and switchable 12 or 24dB low pass filtering. A typical set of Envelopes modulate the filter and amplifier. Extensive modulation is provided by the two LFOs. A 16-band Vocoder section a la VC-10 is also on-board and it does an excellent job! There are also on-board effects which include chorus flange phaser delay distortion and EQ. It also features a "Modulation Sequence" mode which is a 16-step pattern or sequence you create in either step- or real-time and any tweaking or editing can also be recorded into the pattern to add movement to it. The MS2000 is a very well designed and flexible synth with a look and functionality that not only honors but transcends its classic predecessors. It is used by BT Depeche Mode Apollo 440 the Crystal Method Placebo the Faint Royksopp Adrian Belew Jean-Jacques Perrey Saga Klaus chultze Rick Wakeman Yes Yesterdays Keith Emerson and Snoop Dogg.